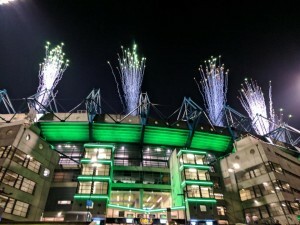 The Melbourne Stars lead the way all season with stellar performances both home and away. 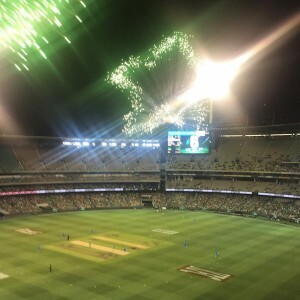 The derby on New Year's Day against their rivals the Renegades was a hot one with another packed crowd at The G. This year we had a few tricks up our sleeves for our pyro off the roof and managed to pull off a star shaped effect visible from the crowd. 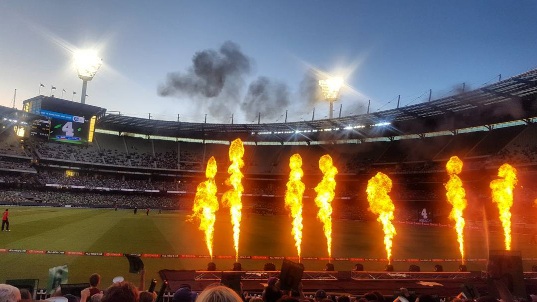 On top off our usual flames and rooftop pyro, we spent more time outside with the crowds doing Co2 and flame activations which amped up the atmosphere for the home games. 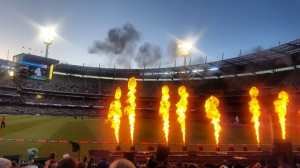 The Stars had the difficult task of meeting the Perth Scorchers in the semi and unfortunately didn't get there on the day. Wishing them all the luck for BBL 07!